Gutters are as important as other parts of a building. However, many experience gutter challenges from time to time because of the difficulty of maintenance and poor installation. Suppose you live in Midland or other counties near the area, the Midland Gutter Pros is the perfect gutter company for you. Apart from appropriate installation, the Midland Gutter Pros provide different types of gutters, that is, aluminium, metal and vinyl gutters. In conjunction with that, our company offers a lifetime warranty for various services such as maintenance and repair. Apart from the standard gutters, Midland Gutter Pros provide aluminum gutters which are convenient for your home. Our cost for aluminum is affordable and not as high as you may think. Aluminum gutters bring out an aesthetic look of your home and last longer compared to standard gutters. Midland Gutter Pros is the team to call because we will provide you with the best aluminum gutters. • Downspout Repair: The gutter downspouts are one of the significant parts of a gutter hence you have to check if it is in perfect condition on a regular basis. Damage to the downspout can cause negative consequences to your home or business. Midland Gutter Pros provide professionals to repair your downspout because we care about you enjoying your investment. Moreover, we offer a lifetime warranty for downspout repairing. • Fascia Repair: Midland Gutter Pros is not a profit-oriented company. We care about the well-being of your home or commercial building. For instance, they can repair the fascia part of your roof if it is in bad shape and the best part of it is that they will not charge you. It does not matter if we are not the ones who installed your roof. After installing the gutter, our professionals ensure that the other parts of the roof connected to the gutter are in proper working condition. • Gutter Cleaning: Clean gutters associate with durable roofs. 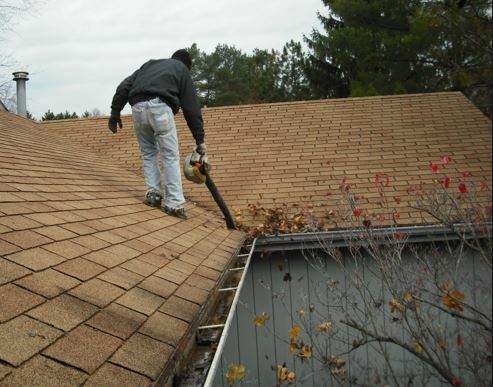 Our company also offers gutter cleaning and gutter roof maintenance services. We are not talking about splashing water on your gutters and leaving. We have all the necessary tools required for appropriate gutter cleaning. We will leave your gutters sparkling clean that you can be tempted to have a sip of water that drips from the channels. • Installation of Gutters: Midland Gutter Pros offer installation services at affordable prices which includes sheerflow gutter filter installation. Their gutter installation process never goes wrong. Whether you want vinyl, metal, or aluminum gutters, our company professionals do a great job that will not have you calling for repair services due to poor installation. • Gutter Maintenance: Midland Gutter Pros offers affordable maintenance services which prevent roof leaking, gutter damage, downspout damage, gutter cracking and wearing out. The gutter maintenance cost for Midland Gutter Pros is affordable. After maintenance, the team leaves behind a gutter maintenance guide for your convenience. • Gutter Repairs: Our company provides gutter repair services for free within the warranty period and at very low prices after the warranty period. The cost depends on the nature of the damage and the type of gutter, but all are reasonable prices. • Heated Gutters: Midland Gutter Pros will solve your winter problem by installing a system that prevents ice formation in the gutters. We offer installation of the heated gutter system using heat cables and heated gutter helmets. The exterior parts of your home should be cared for as the interior parts. Midland Gutter Pros introduces you to the best gutter services in Midland, MI and other counties around the location. We are the best gutter company in Midland as the provide professional services associated with gutter installation. Apart from that, we offer a lifetime warranty for most of their services. Their prices are affordable compared to other gutter companies near the location. All you have to do is find their website and initiate contact for a fast response.